I LOVE these ideas! Getting them to beg to do chores and having them do them without grumbling is amazing. And the decluttering for more screen time... I need to do that with my kids! Thanks for the great ideas! The biggest thing at first was the learning process. There are many years when they are younger where it would just be easier to do it yourself. And part of that was a learning process for me, how each kid thinks differently, and does things differently. Now that they are 9,11, and 15, they are a lot of help! My biggest thing now is making it a part of our daily routine. My kids have pretty good attitudes overall about their chores. The problem is remembering to do them, or choosing to do them instead of playing or reading. There are a few morning after breakfast chores, and then supper clean up, which includes straightening up clutter around the house. Once a week is "room inspection." Other times, their things just need to stay in their own rooms in not too great a state of chaos. This is a great idea! My mom used to bribe us with money LOL These days this kind of incentive is much better! Thanks so much for joining us at the #HomeMattersParty - please share us with your friends, and we hope to see you again this Friday! This is a wonderful idea! 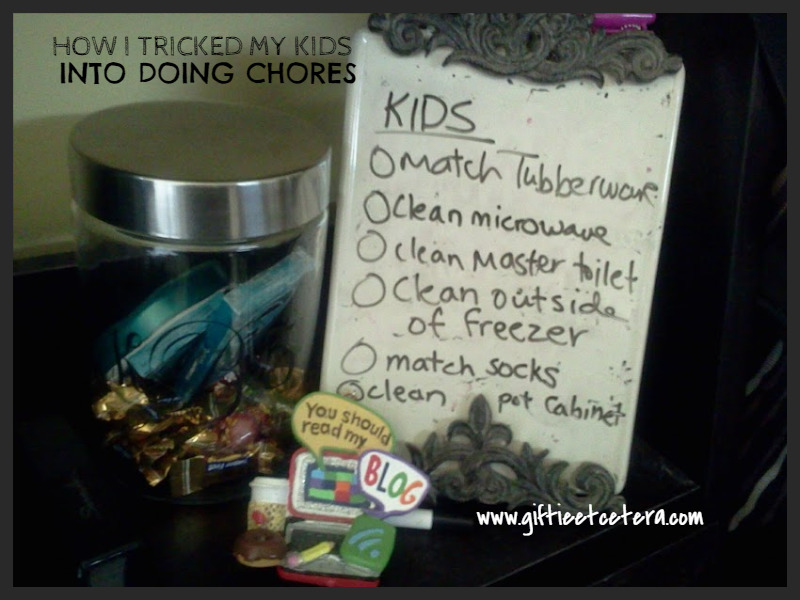 Getting children to work around the house is so important! Great job!